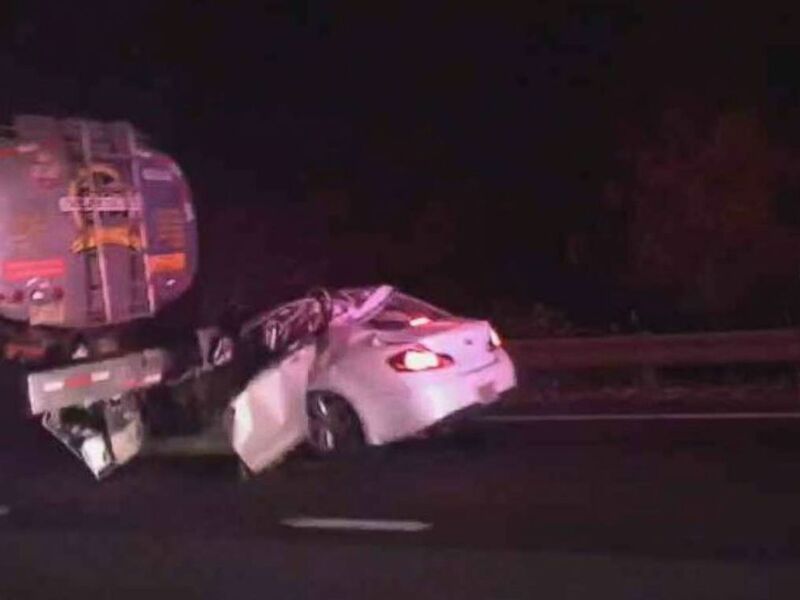 Four young men are dead after a sedan plowed into the back of a tanker truck in New Jersey early Wednesday, authorities said. The passengers were identified as Jimmy Quispe-Prieto, 23, Victor Lugo, 24 and Robert Ordenana, 23, police said. All four were pronounced dead on the scene in Dover Township, police said. Photos from the scene showed the roof of the car was sheared off as it ran into the back of the tanker. Four people were killed when their car plowed into the back of a tanker truck on the Garden State Parkway in Berkeley Township, N.J., on Wednesday, Dec. 26, 2018. The driver of the tanker truck suffered non-life-threatening injuries, police said. The cause is under investigation, police said.